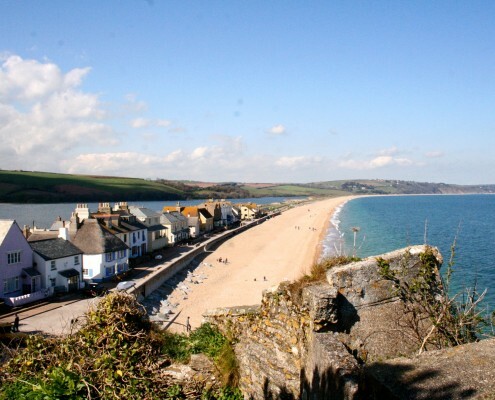 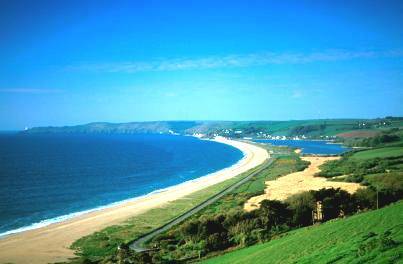 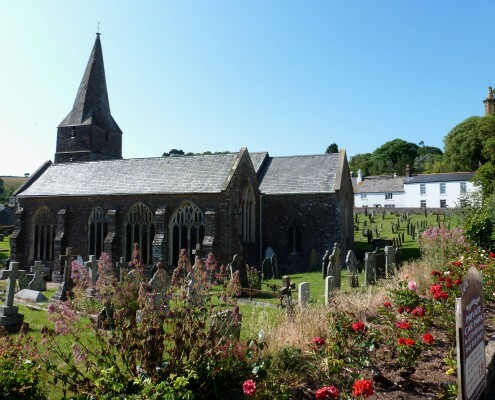 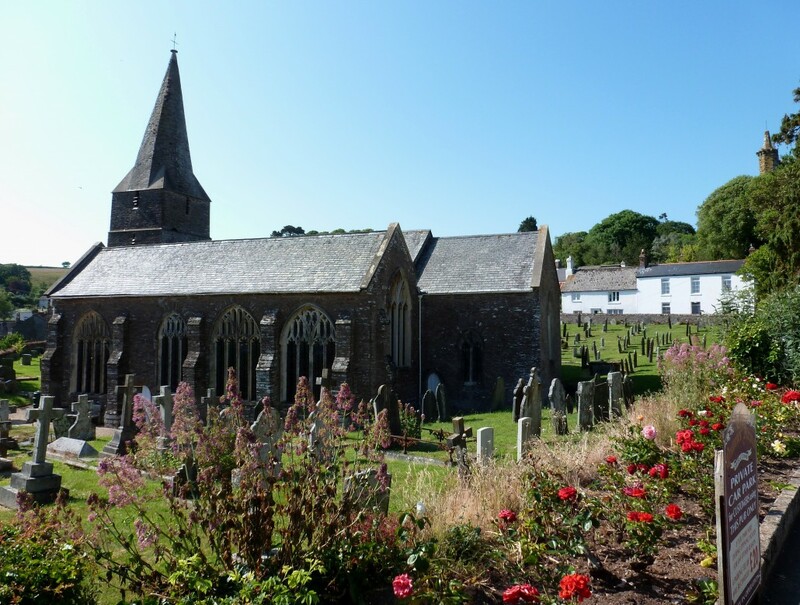 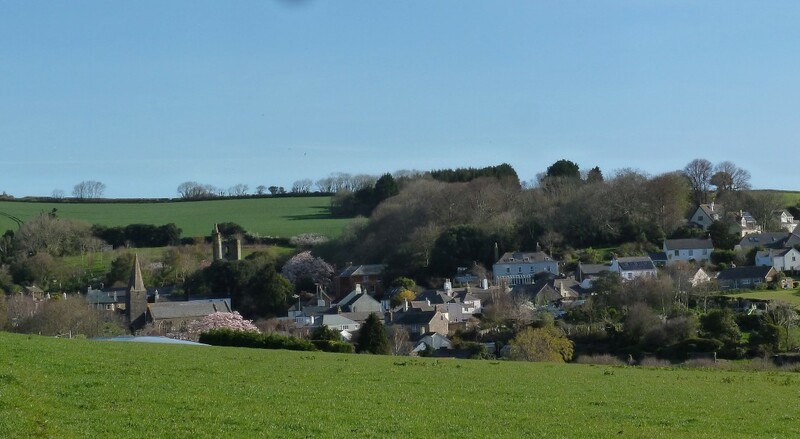 Today Slapton is an idyllic village, sitting serenely within the gentle folds of the South Hams hills of South Devon and just a short walk from Slapton Sands beach. 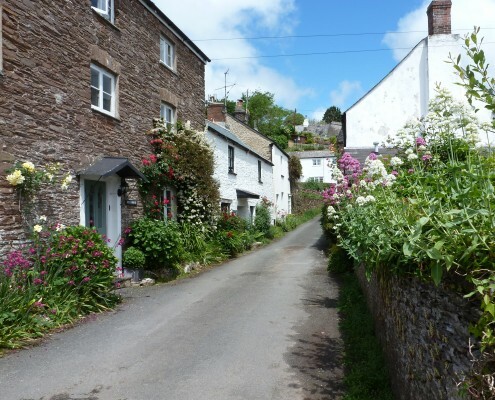 It could also be called quintessentially English, with roses round the cottage doors, no street-lighting and winding narrow lanes. 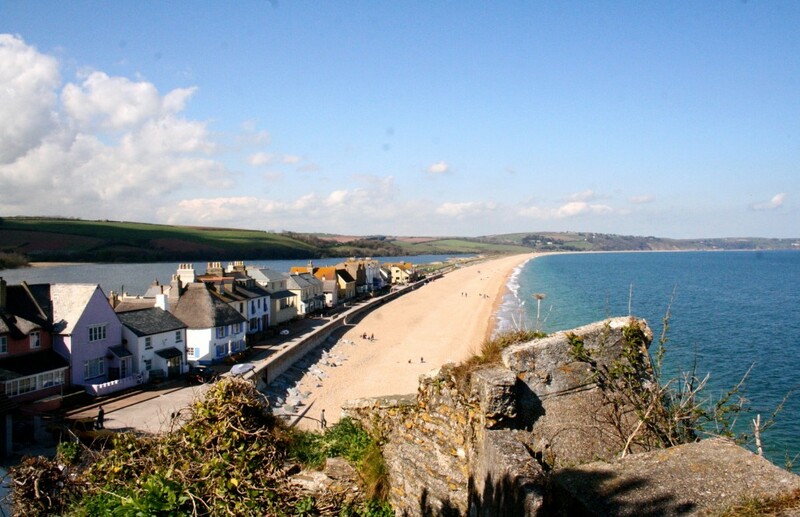 You might think that’s all there is to it, but Slapton shares a piece of amazing war-time history with the world: the village’s normally calm demeanor was shattered in 1944 . . .
Due to its similarity with the Northern coast of France, Slapton Sands beach was chosen for the rehearsals for D-Day landings under the name Operation Tiger. 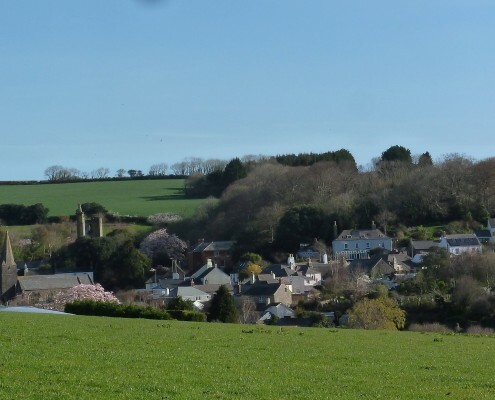 Most villagers and farmers with their livestock from the surrounding areas were uprooted and evacuated at short notice before the rehearsals commenced. 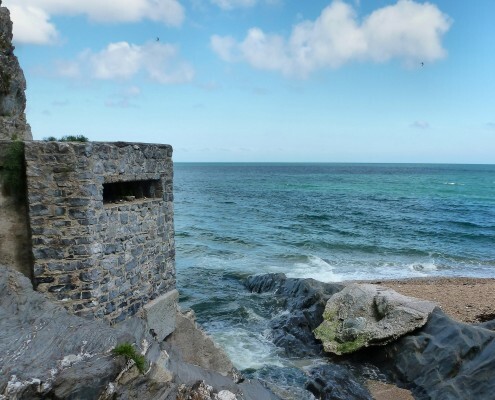 The few who remained suspected that a momentous event had occurred and they proved to be right: the rehearsals had gone badly wrong and 946 American and Canadian servicemen tragically died during the live practice. 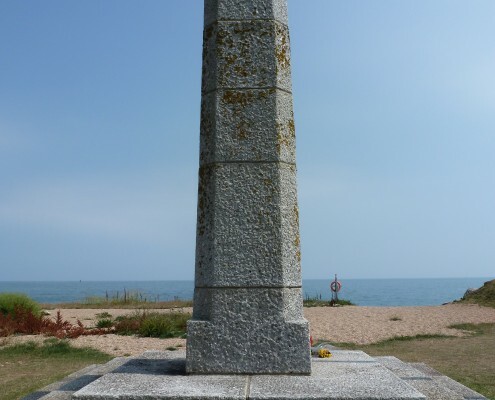 However the story was to remain a secret for decades, covered up by both the UK and US Governments, but later uncovered by Ken Small in his book The Forgotten Dead. 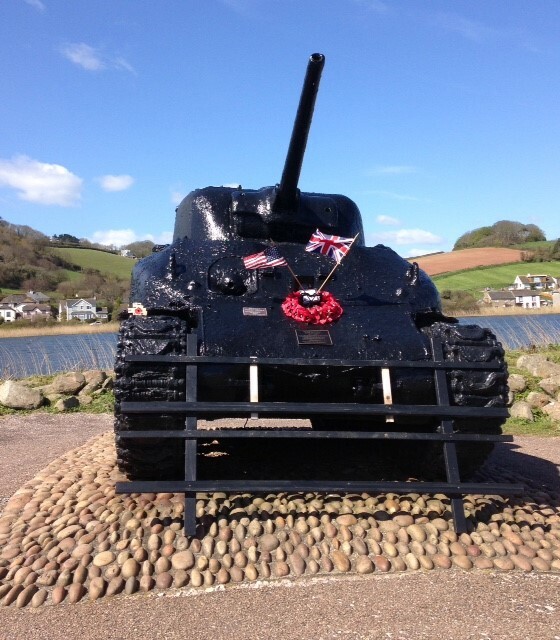 Today a Sherman Tank, raised from the sea bed through Ken’s efforts in 1984, stands at Torcross village, just 2 miles from Slapton. 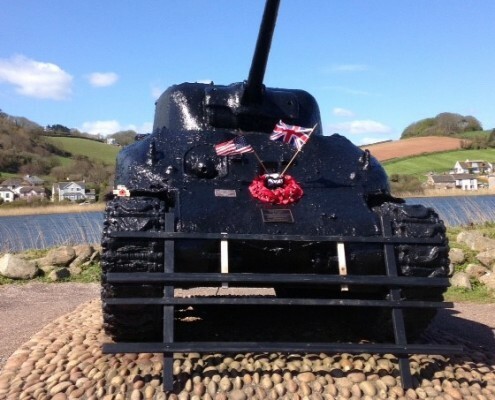 Although the tank is a local tourist attraction and a venue for educational visits, it is also place for reflection and a reminder of the sacrifices made by so many young servicemen. 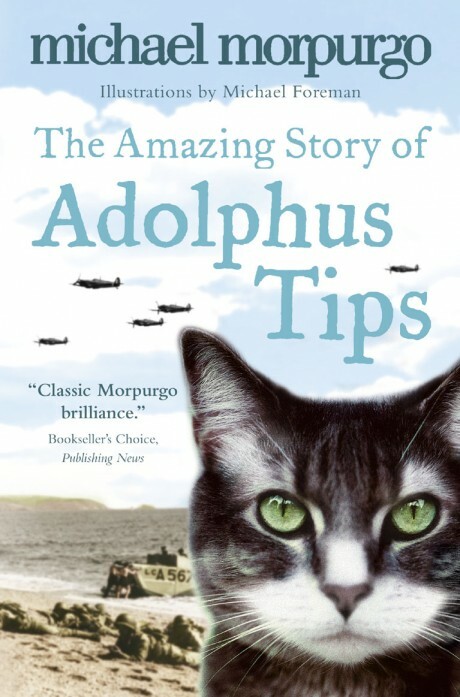 Celebrated children’s author, Michael Morpurgo wanted to share this true story by weaving one of his magic tales into a children’s book and so The Amazing Story of Adolphus Tips was born. 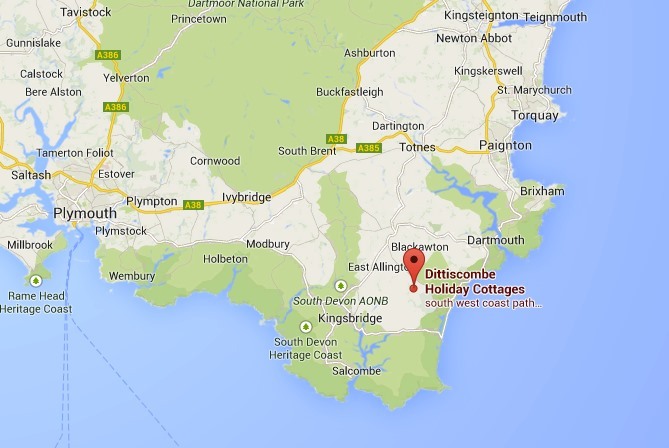 The life of a local child, Lily, is shattered when her village of Slapton is evacuated but her cat, Tips, stays put. Michael Morpurgo deals with the issues of of home-sick soldiers and local people sharing the unsettling times of war as only he can. 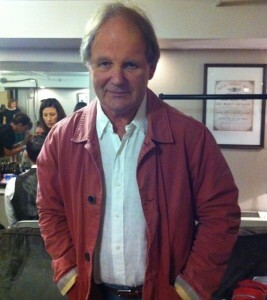 Now the book has been adapted for theatre in conjuction with Kneehigh Productions. 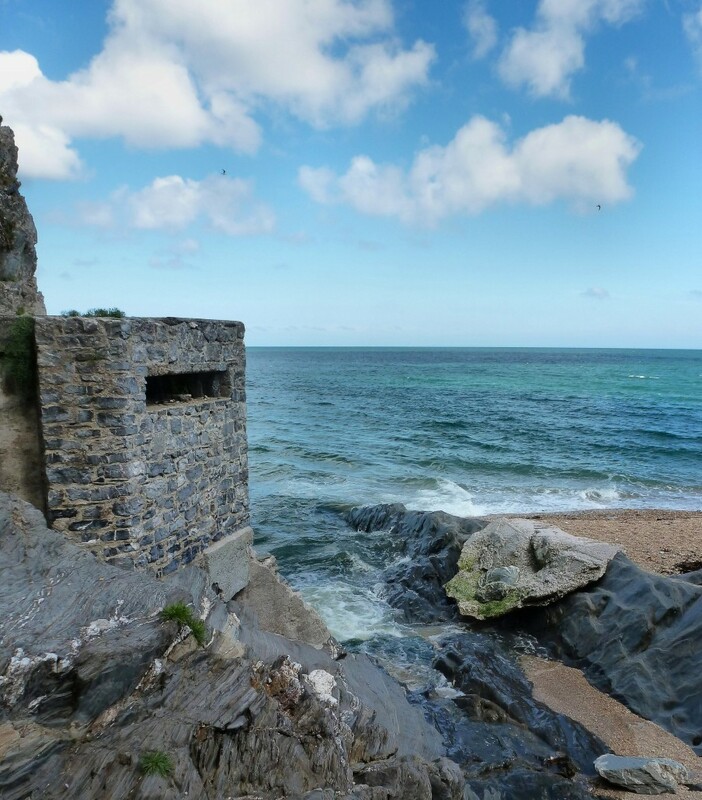 The show called 946 The Amazing Story of Adolphus Tips cleverly blends comedy and tragedy with puppetry, a live band, songs, dance and theatre to portray this wartime tale. 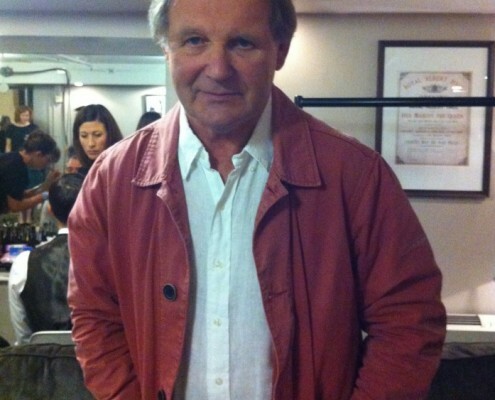 The show will play for four weeks at Shakespeare’s Globe Theatre in London from 11th August 2016. 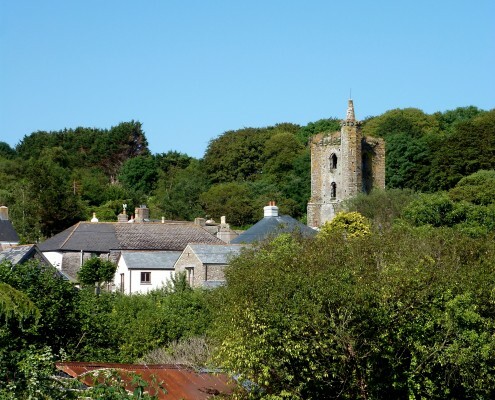 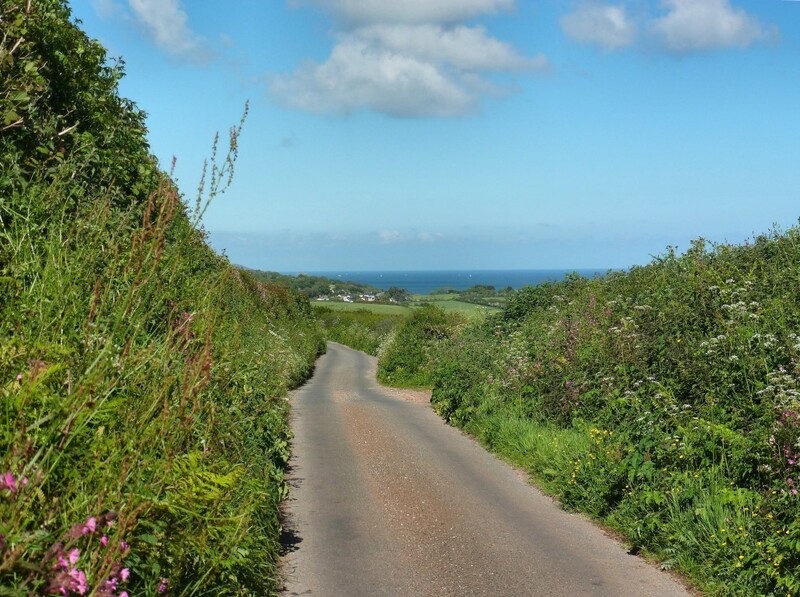 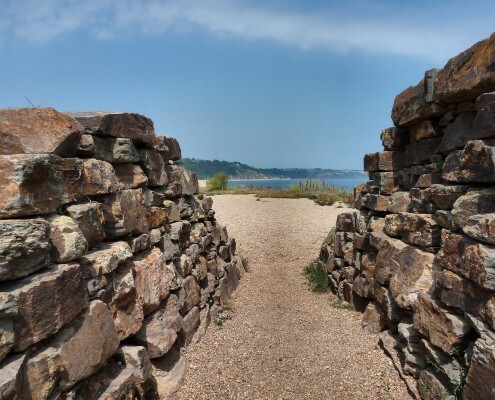 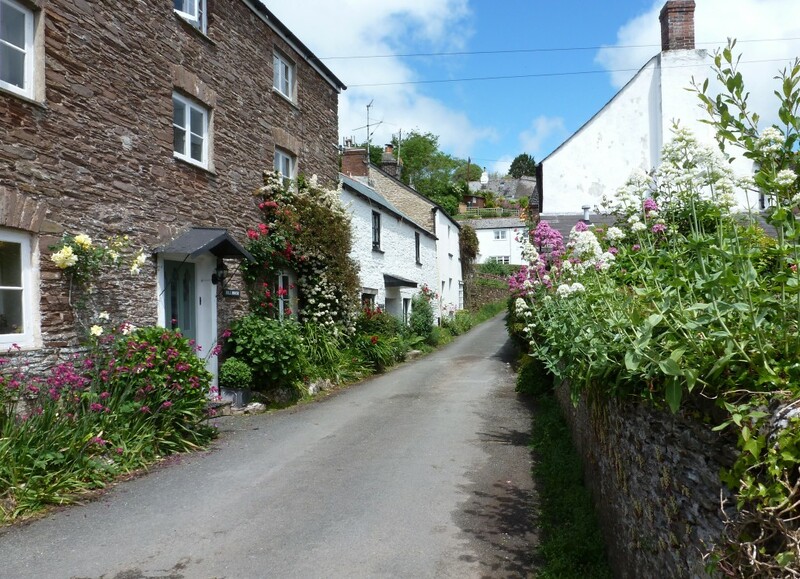 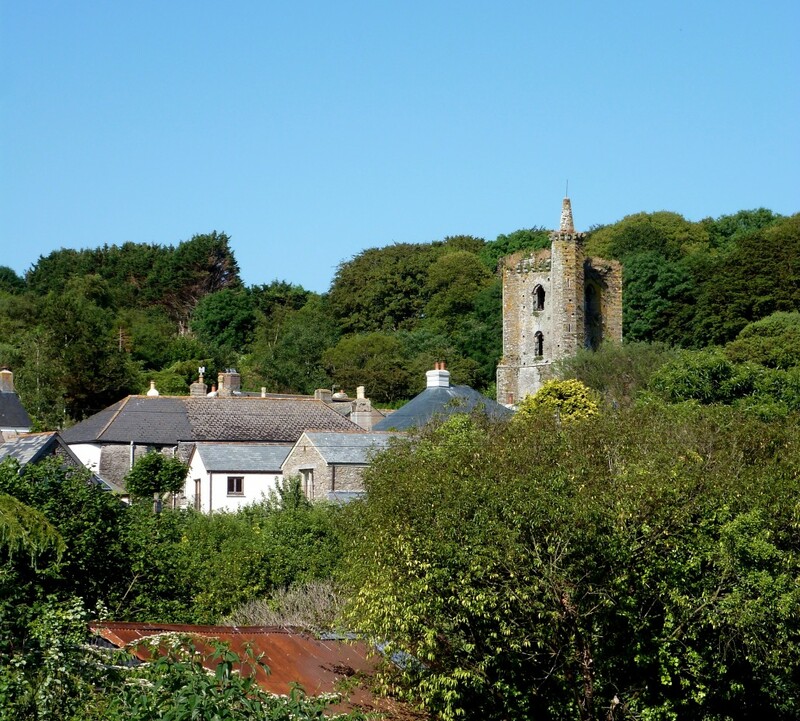 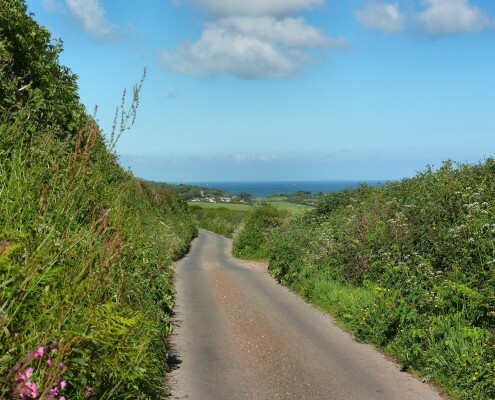 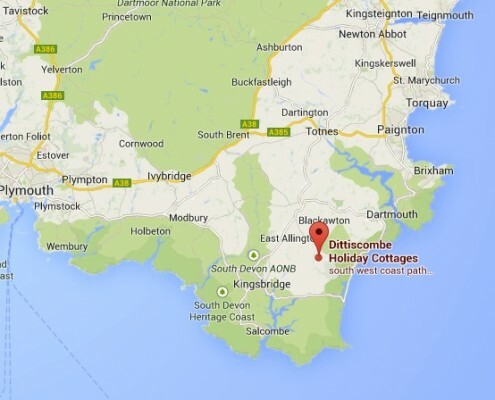 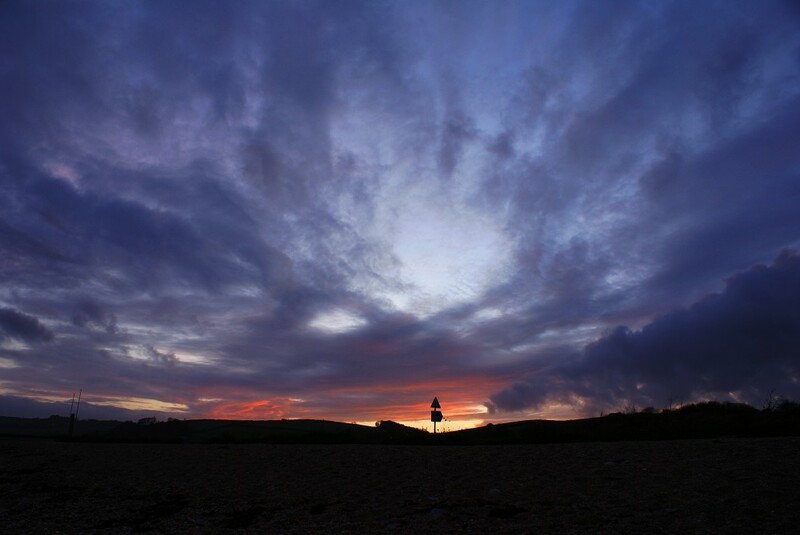 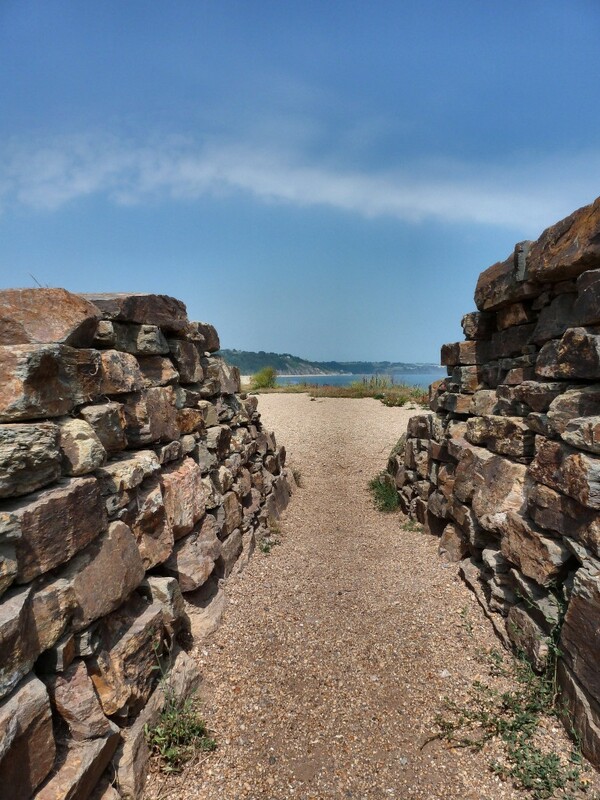 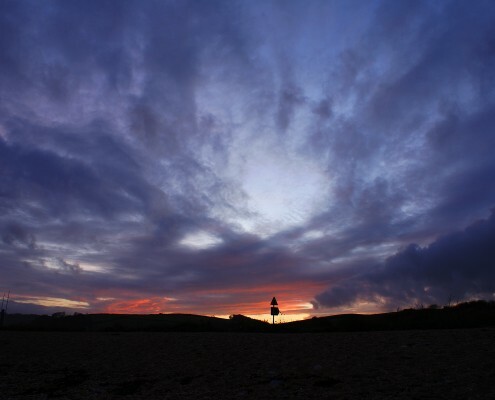 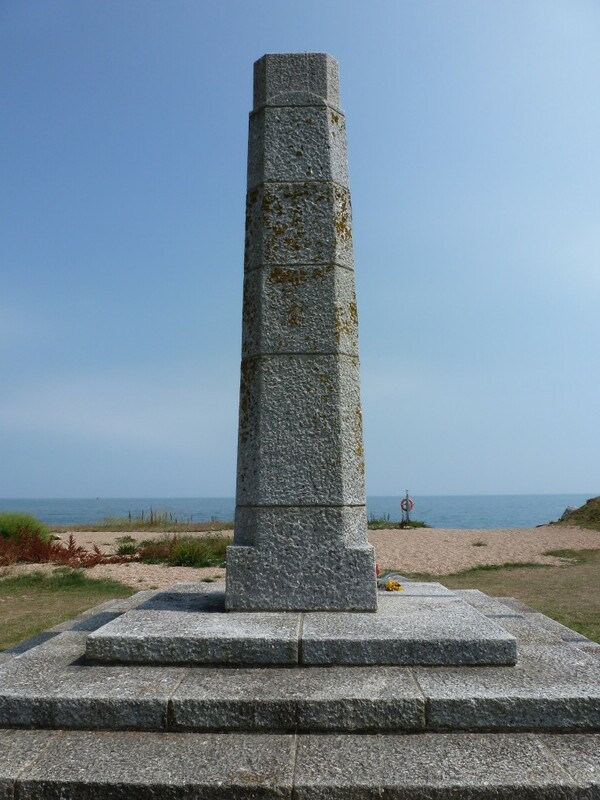 If you’d like to see for yourself where Michael Morpurgo has written this intriguing piece of war-time history come and stay at one of the farms which was evacuated at that time: Dittiscombe Holiday Cottages is located just 2 miles from the heart of Slapton. 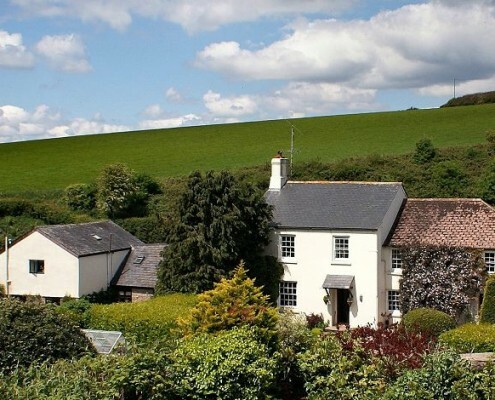 The Farm is now a group of pretty stone barn holiday cottages nestling in a private conservation valley, welcoming guests with children and dogs all year round. 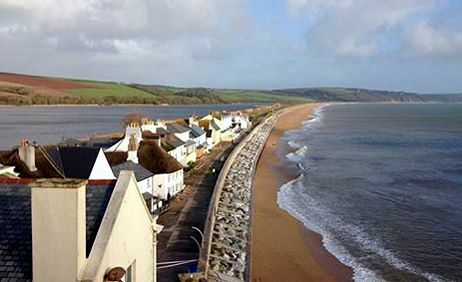 Click on the links to find out more about: The Amazing Story of Adolphus Tips; the theatre production 946; and about Slapton village; or watch the interview with Judy Spiers for BBC Spotlight.